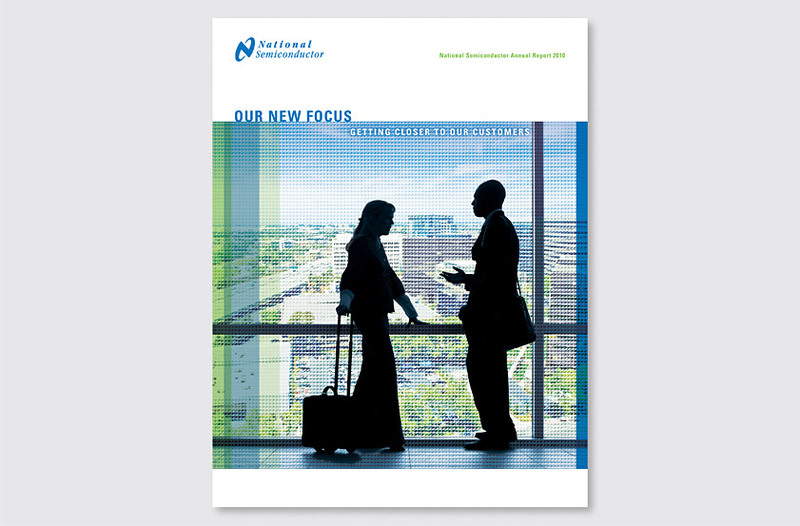 National Semiconductor is one of the world’s leading analog chipmakers. 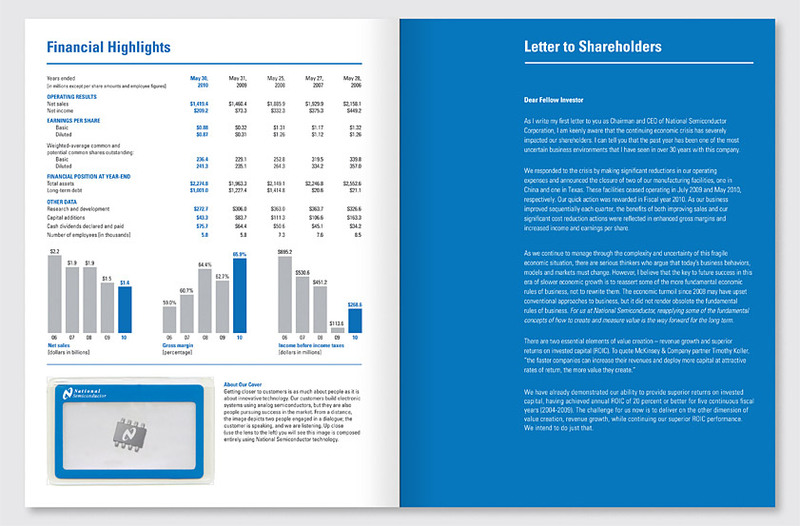 Our solution for their cover conveys their new focus on getting closer to their customers through increased customer engagement. The image of two people engaged in dialogue conveys the idea that getting closer to customers is as much about people as it is about delivering innovative technology. Appropriately for a company whose technological breakthroughs are measured by the design of smaller and smaller chips, the cover image is composed of tiny National chips, which can be discovered with the 4x Fresnel magnifying lens attached to the inside front cover. 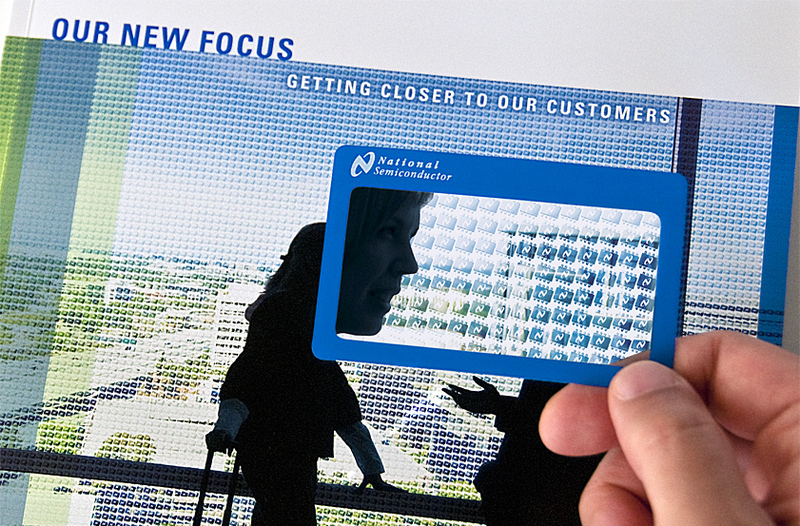 The National-branded magnifying lens received an extremely positive shareholder response, as they appreciated the value of receiving a functional item from the company that could be used year round.